CarGurus has 73,697 nationwide Civic listings starting at $995. Efficient, stylish, safe, and affordable, it’s easy to see why the Civic has been in production for more than 30 years. The Civic's few negatives include the top-trim navigation system, which has been criticized as non-intuitive, and its cramped quarters for taller drivers. While it’s refreshing to see a hybrid and a CNG engine within the same model line-up, neither engine produces stellar performance. Still, both are completely capable around town and represent the same forward thinking that made the Civic so popular back in the ’70s. Remember, this is an economy car, with one trim still deleting even the radio. However, well-equipped, there’s not much the Civic lacks. The compact Honda Civic, the second-longest continually produced Japanese car in America, continues to compete with the longest, the Toyota Corolla, with a mid-cycle refresh. Four engines across nine trims mean there’s a Civic for almost anyone. DX, LX, EX, and EX-L trims return, and all come with the same 140-hp, 1.8-liter four-cylinder engine, as well as two new trim options, the DX-VP and the LX-S. SIs come with a 197-hp 2.0 liter, a sport-tuned suspension, and upgraded trim. While gas-powered Civics achieve more-than-admirable mileage, the GX and Hybrid trims offer options to those interested in minimizing their carbon footprint. Changes for 2009 include a new bumper, incorporating three air intakes and housing the SI's standard foglamps. In the rear, a new chrome piece appears above the license plate, and turn indicators are now clear. Together with a new headlight combination, it's a subtle but distinct difference from 2008, especially with the new alloy wheels on EX, EX-L, and SI trims. Also look for a new wireless cell-phone link and a voice-activated navigation system available on the EX, EX-L, SI, and Hybrid, which also now offer the option of leather heated seats. All trims excluding the SI, GX, and Hybrid have a 1.8-liter, 140-hp, four-cylinder engine that has more than enough power in all situations barring spirited takeoff. With either the five-speed manual or five-speed automatic transmission, you’ll find more than enough power for both around-town and highway driving, although the automatic seems particularly responsive. The EPA estimates fuel economy at 26/34 mpg for vehicles equipped with manual transmissions and 25/36 for automatics. The SI trim is equipped with a rev-happy 2.0-liter, 197-hp, four cylinder, available only with a very smooth six-speed manual transmission. Its extra 57 horsepower can definitely be felt, but as the 2.0 adds only 11 lb-ft of torque to the 1.8’s rather measly 128, not to mention the fact that it doesn’t fully appear until 6,100 RPM, some have wondered if the power might have been more efficiently distributed. Regardless, the 2.0 gets 21/29 and comes only with the six-speed manual. Hybrids mate a 1.3-liter four cylinder to a 15kW electric motor for a combined power output of 110 hp and impressive fuel economy of 40/45. While the hybrid system is well engineered, with smooth, precise, and instant engagement and shut-off, the system as a whole does require aggressive favoring of the right foot, especially at takeoff. Passing requires a bit of patience as well, even with Honda’s celebrated Continuously Variable Transmission. Finally, the GX gets its own version of the 1.8 liter, engineered to run on compressed natural gas (CNG). While an interesting choice, especially from a technological standpoint, it’s 150 lbs heavier and has 30 less hp than a 1.8-liter Civic running on plain old gasoline. If you’re looking to putter around town, it’s fine. Anything requiring passing, climbing, or actual driving is more frustrating than functional. While difficult to estimate actual fuel economy, given a separate fuel source, the accepted estimate, called the Gasoline Gallon Equivalent, places the GX at 24/36. There’s a great bit of ride variation between trims, despite little variance in the MacPherson strut front and multilink rear suspension. While the SI will give you a firmer spring rate, it still does a very good job of absorbing irregularities in the road surface with little to no harshness. Most notable are the low-rolling-resistance tires that come standard with the Hybrid. While providing a slight improvement in fuel economy, they encourage understeer in tight turns, something non-SI Civics were already dangerously close to experiencing. Engine noise is prevalent, albeit at least purposely with the 2.0, and is less than pleasing in the 1.8, especially when passing. At its worst, vibrations can come through the steering wheel, although never enough to shake confidence. Unless choosing the SI trim, expect completely acceptable handling, but nothing that would inspire spirited driving. Pedal feel, however, is top-notch. While most of the Civic’s controls are intuitive and well-placed, sometimes impressively so, some complaints have come on the audio controls and navigation system in the EX, EX-L, SI, and Hybrid. It’s recommended that owners take the time to program voice commands to circumvent the need to struggle with small buttons and a screen plagued by poor visibility. It must also be noted that it’s refreshing to see an economy car with interior materials of such a high grade, especially in the upscale trim of the EX, SI, and Hybrid. Similarly, a standard tilt/telescoping steering wheel, as well as a height-adjustable driver’s seat in a car that can be had for around $15,000, is impressive to say the least, although still not enough to accommodate taller drivers. SI Civics get seats with improved lateral support. Visibility has been a problem with many reviewers, both fore and aft, although less of a problem with the sedan than in the coupe, reviewed separately. With 12 cubic feet of trunk space, the trunk isn't cavernous, but it's more than spacious for a compact car. With a wide and accessible opening, the only drawback are hinges that occasionally become an obstacle. All trims barring the DX come with an AM/FM/CD/MP3 player with digital media connection, and EX and above add the sunroof option, which increases difficulties for taller drivers. 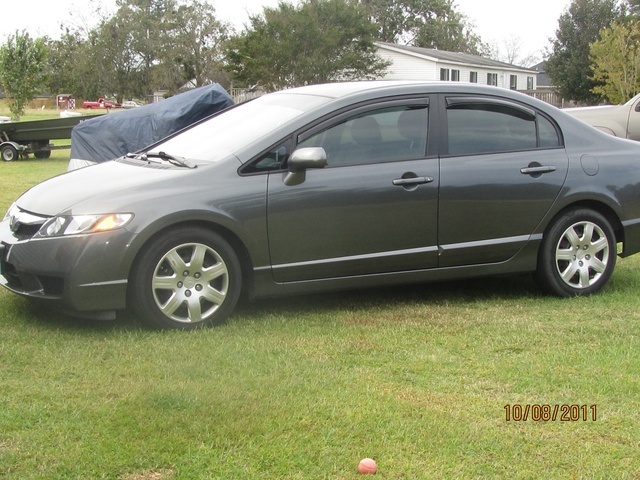 Front, front-side, and curtain airbags are standard on all 2009 Honda Civics, as well as active front head restraints. Additionally, all Civics come equipped with low tire pressure monitors and antilock brakes, as well as Honda’s Advanced Compatibility Engineering body structure. EX and above are equipped with four-wheel antilock brakes, while EX-L and above get Traction Control and Anti-Skid. EX-L, Hybrid, and SI Civics come standard with Traction and Electronic Stability control. NHTSA ratings came in at five stars for front impacts and side impacts for the passenger, and four stars for side impacts for the driver and rollover resistance. The IIHS gave the Civic its enthusiastically-challenged top rating of “Good” for front, side, and rear impacts. It’s no secret that the Civic has been one of the most popular cars on the road for years, even threatening to surpass the Accord as Honda’s best seller. Its appeal is due in part to its ability, with a multitude of trims and options, to appeal to a wide variety of consumers. Still, complaints have come in, specifically around the navigation system and general visibility. Tall drivers will find comfort elusive, but then perhaps tall drivers should look beyond a compact car. 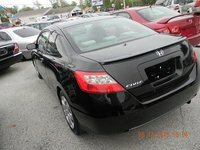 What's your take on the 2009 Honda Civic? pamita It is a very bad model,the painting fades away, that never happened with the other honda I had. The roof dented The dealer Ed Morse, for the last three years has been telling me that is normal that the painting fades, and I said no is not. He did not even tell me there was an extended 7 year warranty for 2009 for the painting!!!!! jaymeconnor Clear coat is known to fail on this model as well as several other Honda models. My new honda will be kept in the garage. Great car for the money aside from the paint. It's an economy car with better features than most so I guess they had to save somewhere. The only maintenance I've had to do is oil changes, breaks and tires so I guess a paint job after 8 years is not so bad. just what it says, i saw dawn asked the same qust- 3 yrs ago , with her honda, starts every-night at 10pm , ??? Shortlisted this car to buy. 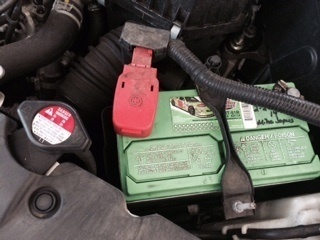 Here is a picture of under the hood (https://images.craigslist.org... C_1200x900.jpg). Should I buy or not?